Brandon Dillard serves as Plant Manager for Georgia Power’s Plant Bowen located in Cartersville, Georgia. Plant Bowen is the nation’s ninth-largest power plant in net generation of electricity. Named to that position in March of 2014, Brandon’s primary role is to oversee the safe, reliable and efficient generation of electricity and to ensure continued success through the growth of talented employees and leadership development. Brandon began his career at Georgia Power’s Plant Hammond as an Engineer in June of 2000. 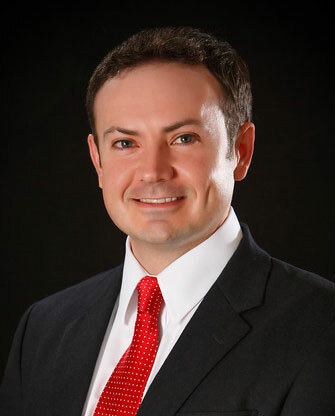 He progressed through various leadership roles in Generation including Plant Manager positions at Hammond, Wansley and Scherer before his promotion to his current role. Brandon received his Bachelor of Science in Mechanical Engineering from North Carolina State University and his Master of Business Administration (Finance) from Auburn University. Born in Shelby, NC, Brandon moved to Georgia in 2000. Brandon and his wife Shannon currently live in Acworth, GA with their three children. Brandon serves on the board for the Georgia Partnership for Excellence in Education. He is an advisory board member for Georgia Power’s VOICE employee resource group. Brandon is also on the administrative board for Due West United Methodist Church. Brandon enjoys golf, mountain biking and spending time with his family. Chris Mosley recently relocated to Cartersville when he was appointed Chief Executive Officer at Cartersville Medical Center. Prior to joining Cartersville Medical Center, Mosley was CEO at Putnam Community Medical Center, a 99-bed acute care facility in Palatka, Florida, where market share, employee and physician engagement, and patient satisfaction increased significantly under his leadership. 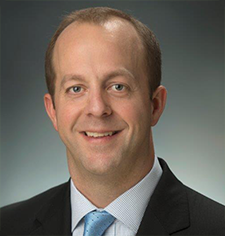 Employed with HCA since 2010, Mosley previously served as Chief Operating Officer at Orange Park Medical Center in Orange Park, Florida and Vice President of Operations at Summerville Medical Center in Summerville, South Carolina. A native of Kentucky, Mosley received his undergraduate degree from Transylvania University in Lexington where he was also a four year starter and captain for the varsity baseball team. He obtained a master’s degree in Business Administration from Duke University in Durham, North Carolina. Mosley’s past involvement with community organizations includes Rotary Club, as well as board membership with the Putnam County Chamber of Commerce, Rodeheaver Boy’s Ranch and Putnam County Superintendent of Schools Advisory Board. He has supported United Way, the Alzheimer’s Association, March of Dimes, and other charitable organizations through time and leadership. Mosley and his wife, Leah, and two sons, Dashel and Revere, are excited to now call Cartersville home. Mr. James Hawk, known as Jim, joined Toyo Tire in December of 2004 as Vice President of Operations. In April 2008, he was promoted to President of Toyo Tire North America Manufacturing, Inc. In 2012, Jim was promoted to Chairman of Toyo Tire Holdings of Americas, Inc. as well as appointed to the Board of Directors for Toyo Tire and Rubber Company in Japan. Mr. Hawk became the first non-Japanese Board Member to serve in this capacity. In January 2015, he was named Chairman of Toyo Tire North America Manufacturing, Inc. (TNA) and remained Senior Corporate Officer and Chairman of Toyo Tire Holdings of Americas, Inc. (TTHA) and President of Toyo Tire North America OE Sales (TNOE). Mr. Hawk previously served as General Manager of the North American Business Unit and the tire business group headquarters, as well as President of Toyo Tire North America Manufacturing, Inc. Prior to Joining Toyo Jim served as Vice President of Operations and Plant Manager for Yokohama Tire Corporation in Salem Virginia. Prior to Yokohama Jim served with Continental General Tire for or 22 years where he earned to position of Operations Manager for passenger and light truck production in Mt. Vernon, IL. Jim earned his BS Degree in Mechanical Engineering at the University of Akron.